Question: What is the greatest contribution of the Wizo Nahalal Youth village to Israel’s society? Answer: the Wizo Nahalal Youth village Raises generations of Israel’s social-multicultural leadership. Since its founding in 1923, the WIZO Nahalal Youth Village has become one of Israel’s most recognized educational centers, and many of its graduates have become key figures in the Israeli economy, politics, military, and culture. The youth village hosts students of the prestigious Anières Elite Academy, which champions excellence as a value. 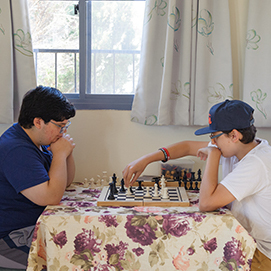 The youngsters join a supportive program in the ninth grade where they experience and meet challenges along their route to academic studies at the Technion. The program forges its graduates into an elite team striving for academic excellence in the fields of science and technology. 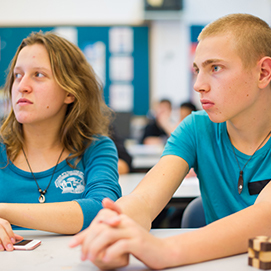 Every year, about 60 students from Israel and around the world are admitted to the Anières program, where they live and study together during their high school years; so that beyond a first-rate scientific-technological academic track, they are exposed to a unique, multicultural, enriching social experience. The program’s global nature enables the development of social ties, a sense of personal responsibility, and mutual support – essential tools for the rest of their lives. In order for all of our students to feel at home, we guarantee that they will live together with their classmates in a special building with excellent boarding conditions. The students will be taken care of after school hours by educational counselors, as well as by the professional staff at the youth village. What do the living conditions in the youth village include? – Three main meals a day in the youth village’s dining hall, with separate dairy and meat kitchens. The meals are varied and cooked daily on site cooked on site daily by the kitchen staff of the youth village. – Furnished bedrooms separate for girls and boys – up to 3 students in each room, which of course includes an en suite bathroom. – Central living area and common TV room. – Self-service Laundry room for convenience. – Kitchenette with a refrigerator. – WiFi throughout the building. The program recognizes the tremendous importance of integrating social content as an inseparable value in the training of Anières graduates. 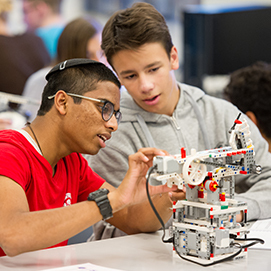 The social values aspect of the program is reflected in a variety of activities offered to students during their high school period.